A delicate shawlette worked from the bottom up by building one row of motifs upon the next--while increasing the columns of motifs along the sides. 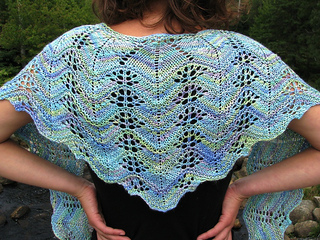 This rapid increase creates a shawl with long tapered ends. Great for wrapping in different ways--or just wearing loose over a summer shirt.